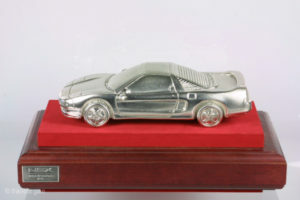 This rare model is casted in pewter and hand detailed by craftsmen in Malaysia. 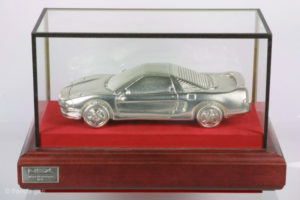 Made of 97% pewter, this Honda NSX weighs about 2 kg. 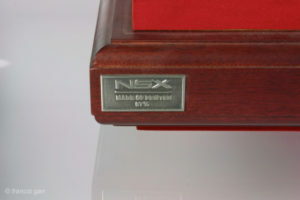 It comes on a wooden base with an identifying plaque “NSX 97% pewter” and a glass cover. 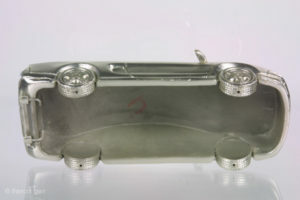 It has no bottom and is essentially hollow, though the pewter is about 5-10mm thick throughout. 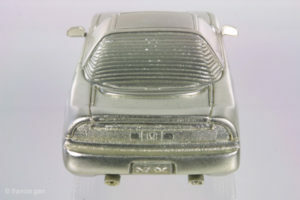 The proportions are accurate and the detail is good considering what it’s made of. Obtained from a Honda dealer in Malaysia in 1995, my understanding is that this was a custom commission for the introduction of the NSX in Malaysia. 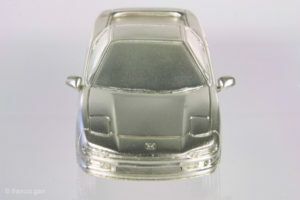 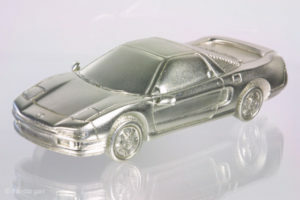 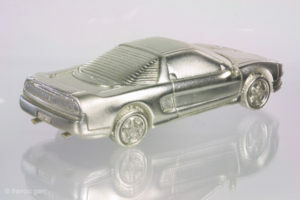 This may be the rarest NSX collectible in existence.